You want the game on Steam right?! 99 Levels to hell is magnificent game. I played this unique concept kind of game and extremely enjoyed it to play in my PC. It's an outstanding entertaining game according to me. 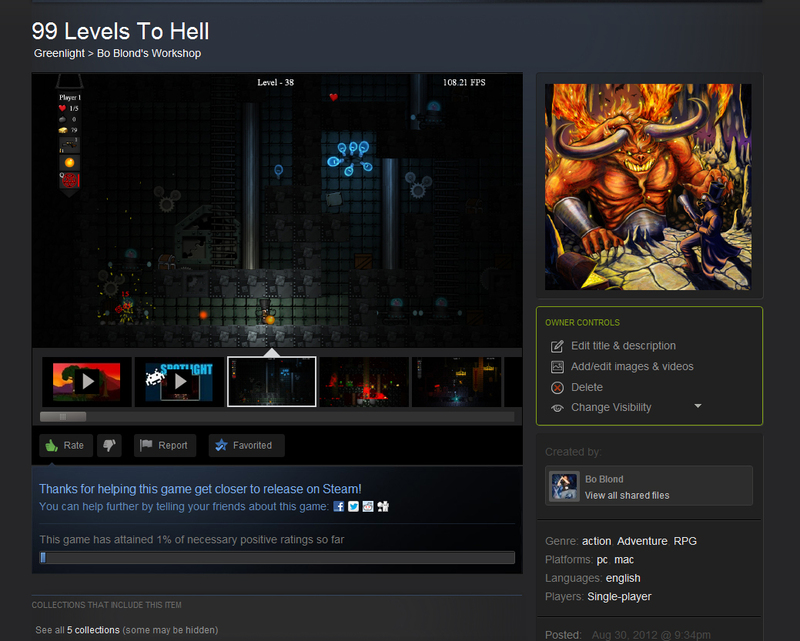 Unfortunately, the last level is unbeatable and/or bugged. I've sloshed through all 100 levels and am greeted every time with flailing appendages and nothing to shoot at. Even after surviving a full 10 minutes dodging said appendages, I've yet to even see a life bar for the boss.